Do you remember the 80’s? That era where big hair, big jewelry, leg warmers, neon everything, and even mullets were where it was at? Ronald Reagan was our 40th President of the United States, basically throughout the entire 80s decade – from 1981 to 1989. Bon Jovi, Madonna, Duran Duran, Journey, The Bangles, Cyndi Lauper, the B-52’s, and many other groups were enjoying their fame at the top of the Pop charts. If you live in Frederick and the surrounding area and you think of music from the 80’s, you automatically think of The Reagan Years (TRY). 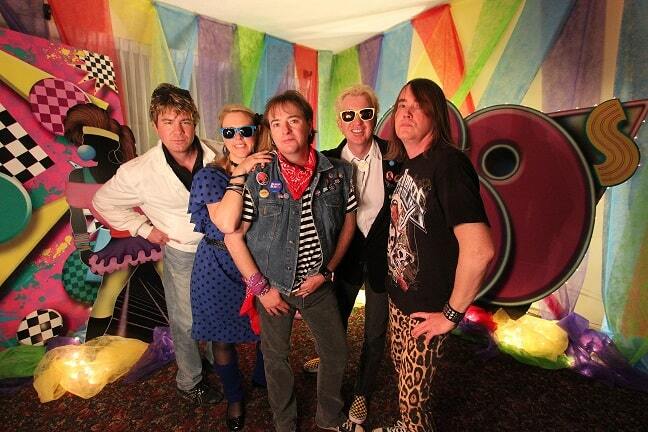 This band recreates the sounds of the 1980s; a day when Ronald Reagan was President, MTV first aired, CDs emerged, acid washed jeans were “cool” and alternative music was called “New Wave”. Since 1996, The Reagan Years has been headlining events to sold-out crowds from the east coast to Hawaii and the republic of Panama. Recently the band was featured on FOX 5 Morning News in Washington DC. Memorable live shows include GE’s Ronald Reagan Centennial Birthday Celebration at the Reagan Building in Washington DC. In 2010 the band entertained over 8000 for the Official Tailgate Party of the Military Bowl held at the DC Armory. Other events that year include: headlining Big Night Baltimore, performing Harborplace’s 30th Anniversary, and Frederick Maryland’s 4th On the Farm Independence Day Celebration with attendance approaching 11,000. 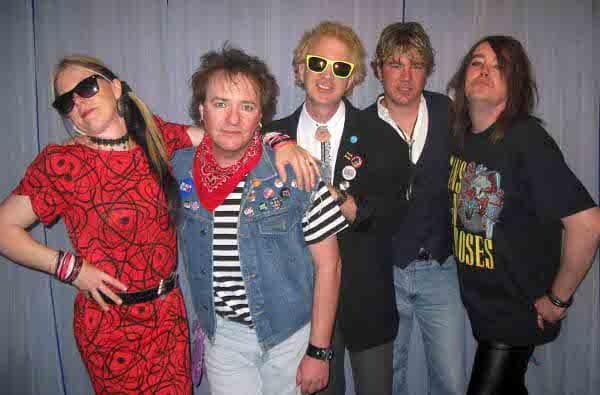 Five talented musicians with five diverse vocal abilities enables this group to replicate uncanny versions of the Pop, New Wave, Heavy Metal and Rock hits of the Video Era. While often imitated, the formula for The Reagan Years has never been duplicated. Terri and I recently met up with Sy Seyler, one of the founding members of TRY to ask him questions about his tremendous success on the Mid-Atlantic music scene. 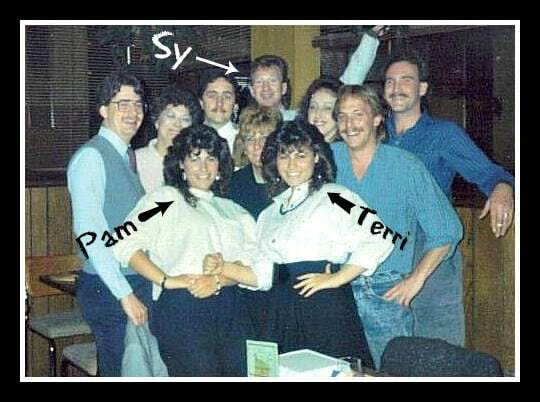 First, let’s flash back to 1987 – Terri and I both worked at a local computer modem company. We quickly became close friends with a few co-workers, one of which was Andy “Sy” Seyler. He was a software engineer, who by day was moving up the ladder in the corporate world. But outside of work, he loved fast cars, good music, and having fun. 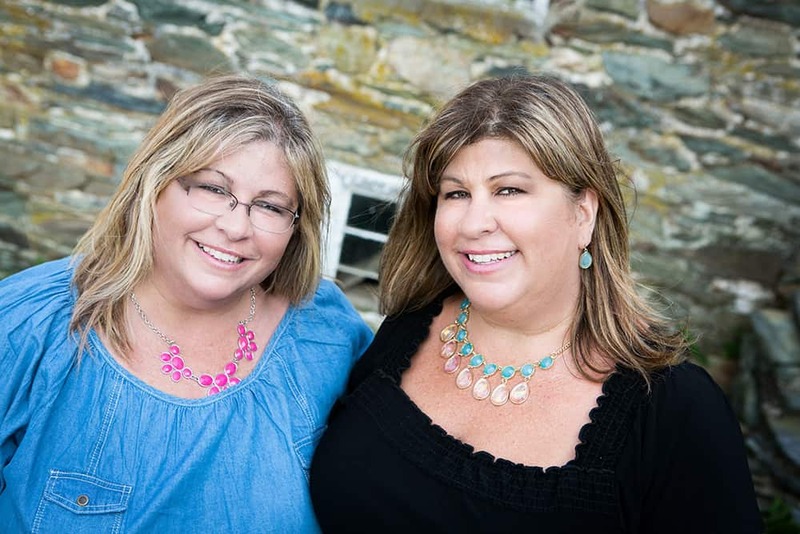 Throughout our years working with Sy, we developed a lasting friendship – losing touch for large chunks of time, but then getting back in touch and reconnecting. Fast forward 26 years later to a local restaurant with Terri and I sitting at a table getting ready to conduct our very first blog interview with our long-time friend and now extremely successful musician, Sy Seyler. Sy grew up with 3 much older siblings – a sister and two brothers. One of his brothers played drums. Because his siblings were much older, Sy was exposed to music that other kids his age didn’t listen to. Bands like Creedence Clearwater Revival (CCR), Led Zeppelin, Jimi Hendrix and James Gang. This contributed to Sy’s eclectic taste in music, as well as his appreciation for a huge realm of musical genres. Back in the 1980’s, Sy loved the band KIX, as well as Electric Light Orchestra, Depeche Mode, B52’s and “early hair band” music. Currently, you can find Bruno Mars, Pink and Fall Out Boy (he loves their song “My Songs Know What You Did in the Dark”) on his playlist. What bands did you have before you started TRY? Aislynn (Alternative), Shock LaRue (Heavy Metal), and Return to Zero (New Wave). 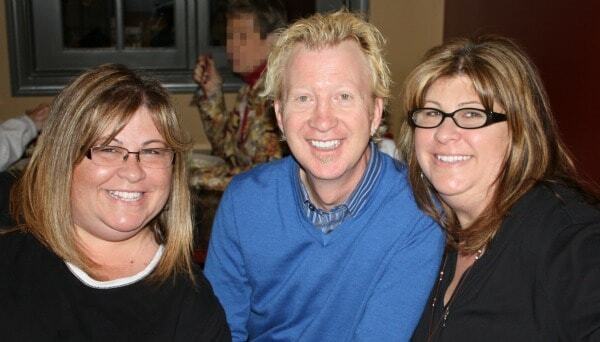 Sy Seyler and Karen Ellison. How did you come up with the idea for TRY? Sy says he came up with the 80’s Tribute Band idea because, at the time in the mid to late 90’s, the music of the day was getting pretty dark. Sy felt that there wasn’t enough fun, upbeat music playing on the radio, with the exception of specific segments on several radio stations, such as WHFS – ‘Flashback Café’, Mix 107 – ‘80’s at 8’, and even commercials were playing 80’s music, such as Burger King’s commercial for one of their cheeseburgers, playing ‘I’ll Stop the World & Melt with You’. All of these ‘flashbacks’ were becoming very popular and struck a chord with Sy. His idea was that maybe this was something that could take off in the local band scene – bring the fun back in music and pop radio. But at that time, “Tribute Bands” targeted artists (Back In Black – the AC-DC tribute or Sticky Fingers – The Rolling Stones tribute) there wasn’t a tribute to The 80s era. That concept was new and unproven. Soon, The Reagan Years was born! Do you still have a job outside of TRY? Yes. Sy is an electronic engineering software testing consultant. He also runs Getting the Gig and plays in the Morrissey tribute band ‘Girlfriend in a Coma’. 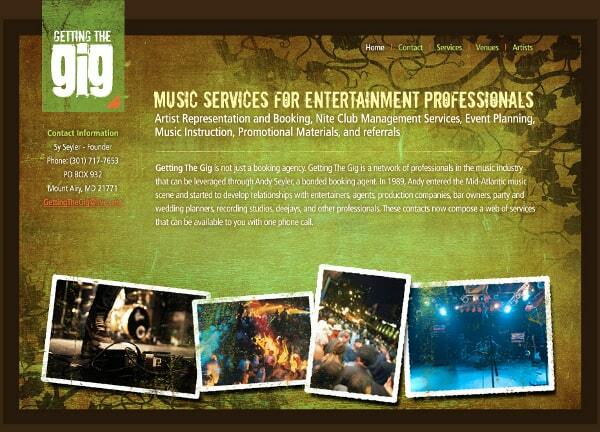 Sy is a Bonded Booking Agent for booking live music under his business’ name, Getting the Gig. He books bands for venues that require a booking agent when acquiring acts. Getting the Gig books live bands with several venues, including many of the Greene Turtles in the area. You can find more information on Getting the Gig at www.GettingTheGig.com. This is a tribute band to The Smiths, which has more of a cult-type following. It was started by Sy, Glenn (also from TRY) and two other friends, Bryan Kimes and Christopher Quinn. This band plays very occasionally, as compared to TRY, and brings in around 200 people per show. So, as Sy explained, it is definitely more of an intimate show vs. 600-700 people for a TRY show. What are 2 hard-to-spot pitfalls that are critical to avoid when starting a band? (1.) Think long and hard before choosing your band name. The band name says a lot and leads to other opportunities, but it can also pigeon-hole your band if it is too tight of a niche. (2.) Select your musicians based on seeing the potential in what they can do, as opposed to selecting a musician based on what you’ve seen them already do. Looking out 3 to 5 years, what do you think will be the next big change in your industry? Distribution of music. Physical media, such as CD’s, will go away. These days you only need one good song in order to be a hit on iTunes. Sy has personally kept all of his vinyl records and has gotten rid of all of his CD jackets. It’s a tie: ‘Livin on a Prayer’ and ‘Don’t Stop Believin’. What is your most requested song? What is the age range of your fans? The core group is aged between 30 and 50. However, there are a lot of 20-somethings who love 80’s music and come to the bars for TRY performances. When TRY performs at festivals, the crowd consists mainly of 30-40 somethings with their young children, who can also sing every word to some of their 80’s favorites. To quote Sy, “I have a strong personal connection to Frederick. I feel that support anytime I play in Frederick.” He also goes on to say that he loves playing in other venues, but whenever he plays in Frederick, there’s nothing like the connection he feels from TRY’s history of starting out there, and building up his fan base. Many times, fans will approach Sy and say, “I remember when you first started out……” Sy expressed that he particularly enjoys playing venues that benefit local organizations, and loves the fact that it’s a win-win. Do you ever get burned out? To go to Australia to visit, as well as perform! To fly fish at Yellowstone Park. To sit and have a cup of coffee with a few of his inspirations: Billy Idol, Joe Walsh, Billy Joel and Peter Chris (drummer from Kiss). Back in the 80’s when we first met you, did you have any idea that you would be where you are now? “No – on all fronts.” “Every band, I started with the same hopes and expectations – and this one just took off.” Terri and I have always known Sy as being a person of conviction, with high ambitions, a strong work ethic, and a great sense of humor. Sy goes on to say that he doesn’t feel or act any different than he did way back when. Terri and I can truly attest to that. It was like 26 years had never gone by! 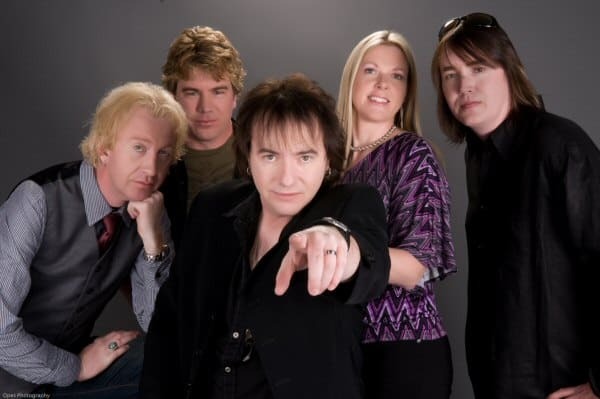 You can find more information on The Reagan Years, including their performance schedule on their website, www.TheReaganYears.com. See them at Champions in Frederick this Saturday, April 6, 2013! And keep up-to-date with The Reagan Years on their Facebook page at https://www.facebook.com/TheReaganYearsBand. Wanna see more posts like this delivered straight to your Inbox? Go to the Subscribe box at the top of our blog and enter your email address! Also, share this post on Facebook, Twitter, and Pinterest. I didn’t know anything about them but now I would love to see them perform in person. Great blog with great pictures. This must have taken a long time! Thank you Cheryl! Reagan Years play at a lot of summer festivals. Maybe we could see them together sometime over the summer. They’re so much fun! Awesome article ladies! Makes me even more excited to see them perform tonight! I love rock n’ roll!!! Thank you so much! We love The Reagan Years! Just saw them today in Crownsville at the beer fest, They were great!!! The whole band is very talented. The lead singer is extremely good as with the rest in the band. If you get a chance, go see them;you will have a blast!